Enthusiasts were first treated to the release of DDR4 memory in late 2014 with speeds barely exceeding that of existing DDR3 technology. Latencies were far from desirable and clock speeds were no better. Today, G.Skill has shattered previous limitations by surpassing the 5,000MHz barrier on Trident Z RGB dual-channel memory. Achieving a 5GHz memory clock has previously required liquid nitrogen or other extreme cooling measures. G.Skill has now proven that high speeds are possible with only air cooling. Not only was the feat accomplished with air only, a dual-channel configuration was used. The test setup consisted of an i7-8700K and MSI Z370 Carbon AC motherboard along with 2x8GB of Trident Z RGB memory. Unfortunately there are not any 5,000MHz memory kits available at this time, but 5GHz memory is not far off. 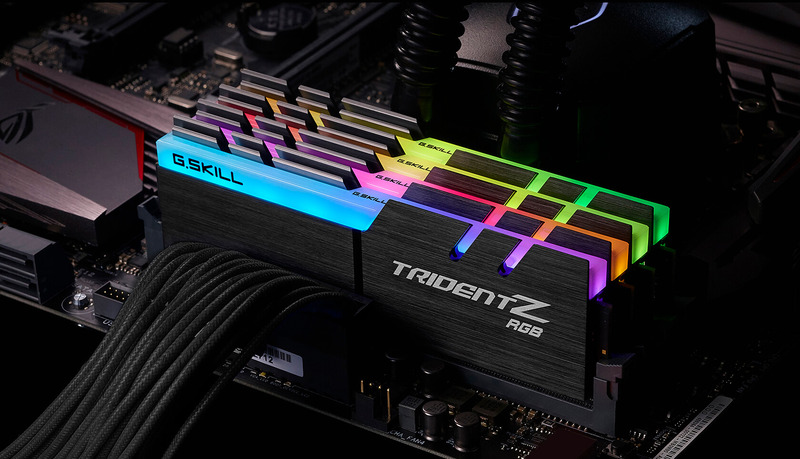 The Trident Z RGB memory used in the overclocking tests is designed to run at 4,700MHz out of the box using Samsung B-die integrated circuits. The next target for G.Skill and competitors is reaching 5.5GHz without the use of extreme cooling measures. Back in June 2017, G.Skill was able to achieve 5.5GHz - also using Trident Z RGB memory built with Samsung ICs on an MSI X299 Gaming Pro Carbon AC - but required liquid nitrogen for the record-breaking achievement. G.Skill originally launched their 4,700MHz memory kit on January 5, 2018, and is currently the highest clocked memory commercially available. As the limits of DDR4 are being pushed, DDR5 memory is well under development and may bring nearly twice as much bandwidth as its predecessor. The standard for next-generation memory has yet to be finalized but Rambus is already well on its way to pushing out DDR5 server memory for 2019. Consumers should not expect new memory until late 2019 and wider adoption in 2020.